The 2016 Pre-event Table Captain Luncheon was held on Thursday, July 29th at Sycamore Hills Golf Club. 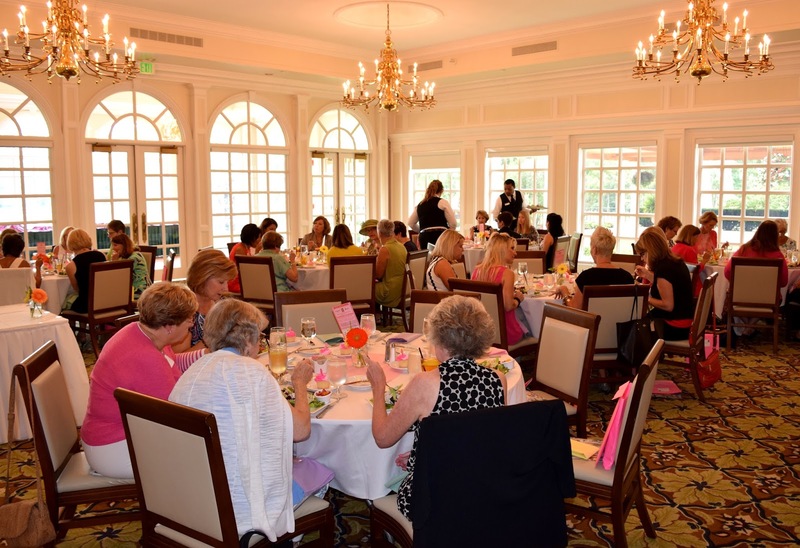 Over 40 women gathered for lunch, learning and laughter and to hear more about this year's 12th annual "Lunch with Friends. Screening Guidelines” — from featured speakers William C. Petty, M.D., BDC, and TJ Krasun, American Cancer Society. Francine's Friends was excited to announce a new "Champion" level sponsor of this year's luncheon — Brigadoon Financial. “It’s truly an honor for someone to trust that we are good stewards and donate such a substantial amount to us," said Ellen Tom, co-chair of sponsorship and the annual luncheon event, and Francine’s Friends board member. “Through champions like Bruce Dye/Brigadoon Financial, our message of awareness and early detection is embraced and expanded, and we are thrilled,” she added. “This is confirmation that our message really reaches and resonates with everyone,“ continued Sharon Simmons, co-chair of sponsorship and the luncheon event, and Francine’s Friends board president. “We look at our coach as a way to bring health and hope to all women, regardless of her circumstances, and sponsorship support helps us fulfill that mission,” she concluded. “Celebrating Champions” — the 12th Annual “Lunch with Friends” will be held Friday, October 14, 2016 at the Memorial Coliseum. 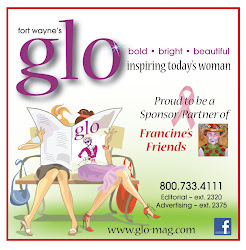 Additional sponsors confirmed include Presenting Sponsor PHP, and Luncheon Sponsors Kroger, Radiology Oncology Associates, P.C., Emley Design Group, glo Magazine, Fort Wayne Oncology and Hematology Consultants, Very Bradley, Steel Dynamics, OmniSource, Punch Films, Shaffer Multimedia, Do It Best, and Med Pro. View this year's Table Captain Luncheon photos on Facebook by clicking here. For information on being a table captain, bosom buddy or corporate sponsor, contact board vice president Glynda Harris harrishome3@frontier.com or 385-1601.